Palace were punished for missing a succession of chances as two goals in the final three minutes of the game saw Everton win. 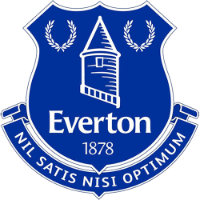 Everton fc: Pickford; Coleman, Zouma, Keane, Digne; Gueye, André Gomes (Calvert-Lewin, min. 82); Walcott (Lookman, min. 82), Sigurdsson, Bernard (Tosun, min. 67); Richarlison. 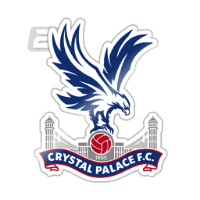 Crystal Palace: Hennessey; Wan-Bissaka, Tomkins, Sakho, Van Aanholt; Schlupp, Kouyaté, Milivojevic, McArthur (Wickham, min. 89); Zaha, Townsend. SCORE: 1-0, min. 87, Calvert Lewin. 2-0, min. 89, Tosun. INCIDENTS: Premier League match between Everton and Crystal Palace, held at the Goodison Park. 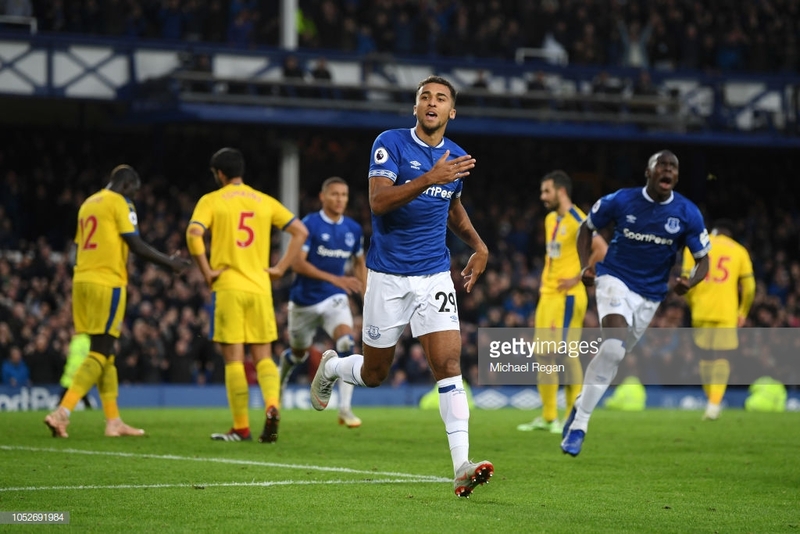 Two goals in the final three minutes of the game earned a third successive Premier League win for Everton as they overcame a wasteful Crystal Palace team 2-0 at Goodison Park on Sunday afternoon. The visitors should have taken the lead in the second half but Luka Milivojević missed from the penalty spot. They were punished, as Dominic Calvert-Lewin and Cenk Tosun netted in the 87th and the 89th minute respectively to seal yet another victory for Marco Silva's side. On the other hand, Palace will feel that they should have got something from the game but once again their failure to score was their downfall and led to yet another loss in the league. Both managers revealed good news before the game with the teams that they selected. Andres Gomes finally made his Everton debut after joining from Barcelona in the summer, while Wilfried Zaha was passed fit to play much to the relief of everyone at Palace as he is their talisman. The game itself began very tactically as it was clear that Roy Hodgson set up his side to be defensively strong and then play on the counter. By doing this, the Eagles frustrated the Toffees for the opening half an hour as they would have been wanting to get off to a fast start but it didn't materialise. The hosts didn't create anything of note until Gylfi Sigurðsson found space at the edge of the Palace box and forced Wayne Hennessey into a very good save. That one moment, though, only seemed to wake the visitors up as they went down the other end and almost took the lead themselves on a couple of occasions. The first opportunity came when Andros Townsend played a great cross into the box which found James Tomkins unmarked but somehow he headed wide when he should have scored. Minutes later, the visitors came even closer to opening the scoring when a corner was delivered into the box by Zaha, which found Tomkins, who headed the ball back across the area to Cheikhou Kouyaté, whose goalbound header came back off the bar. The Eagles continued to attack right up until the break without much luck. Therefore, at half-time, the scoreline was goalless with the hosts knowing that they would need to up their game in the second half to get the win, while the visitors would have been hoping for more of the same in the second half. It was clear that Silva had some words with his side at half-time as they came out at the start of the second half with much more intent to attack. They piled the pressure on the Eagles defence but out of nowhere, Palace were awarded a penalty when Seamus Coleman was adjudged to have fouled Zaha in the box. Milivojević stepped up to take the penalty but he saw his spot kick saved by Jordan Pickford with his legs. That incident brought real life to the game as straight away down the other end, Theo Walcott found himself in on goal after a great through pass from Sigurðsson but he was denied by Hennessey, who to his credit was quick off his line to block the shot. Both teams continued to look for that opening goal which led to an end to end game and just as the game was petering out for a draw, Everton scored twice in the final three minutes of the game. The first goal was made by second half substitute Ademola Lookman, who played a great cross into Calvert-Lewin, also on as a second half substitute, who headed home past the despairing dive of Hennessey. That meant that Palace had to go all out attack to try and get an equaliser before the end of the game but that left them really exposed at the back. One long ball forward from Michael Keane found Tosun in on goal and he made no mistake to seal the three points for the Toffees in a game that could really have went either way.